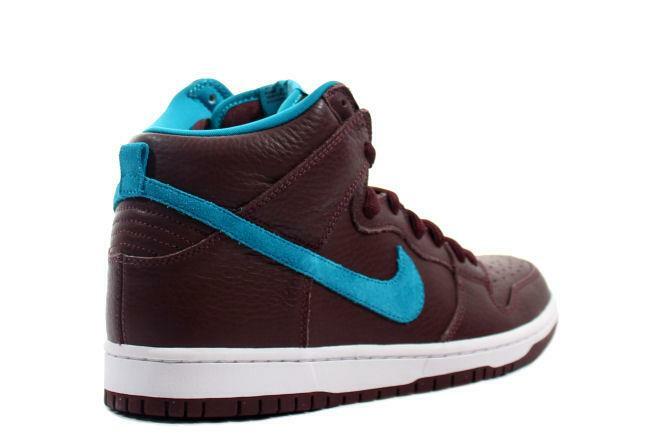 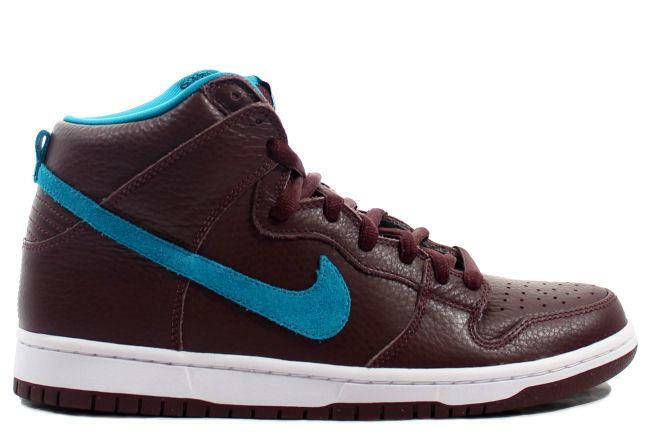 Info: This Dunk SB High features tumbled leather in deep burgundy with an accent of aquamarine on the swoosh, liner and tongue piping. 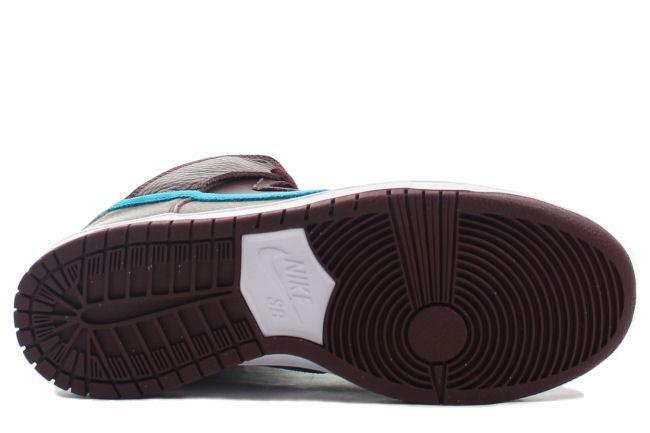 The white midsole adds a touch of contrast. 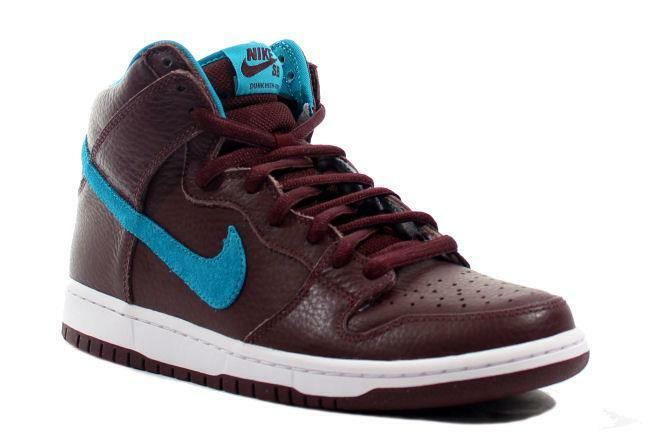 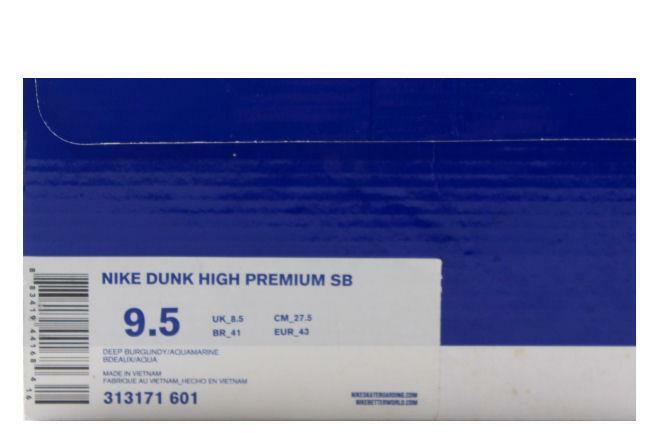 May 2011 SB quickstrike release.